A friend who is looking for a new home recently saw some properties with potential but found the same problem with each one. No garage. “There’s no place for my workshop,” he said. His current residence has a setup for his woodworking, but with the growth of his hobby, the area has become cramped. 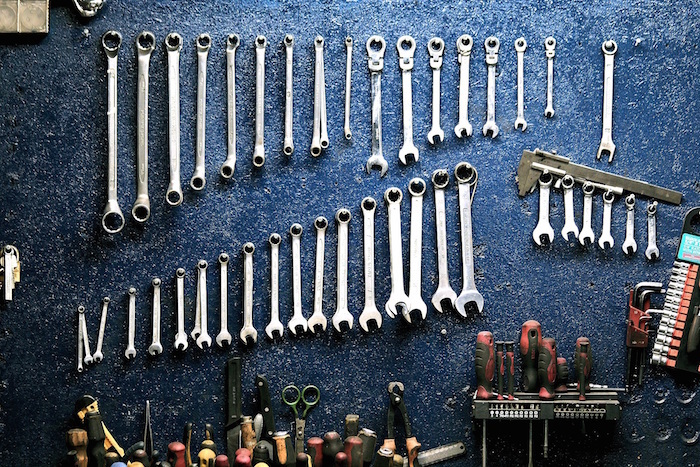 A storage unit is a great place to keep work tools, but it is not a workshop. For now, he can place extra materials in a self-storage unit while he looks for a new home, but his situation brought up a question we’ve heard more than once: can somebody use their rented unit as a workshop or for commercial business? The answer depends upon the policies of the self-storage facility from which you rent, and on the reason for renting the unit. If you operate a business from home, like selling clothing or other inventory, a self-storage unit can keep your items secure and your home clear of surplus. When it’s time to fulfill an order, you come to your unit to pick up what will ship. When you use a storage unit for its intended purpose, you’ll abide by the regulations of the storage center and perhaps be able to write off the expense come tax time (you’ll want to talk to your accountant about that first). Storage units are designed for a singular purpose, to hold valuables in a safe place until they are needed. They are not zoned to work as individual office spaces or to permit people to spend hours at a time there doing business. Even if your unit is climate-controlled, it is not built to function that way. Business operations within a unit, outside of picking up and/or dropping off inventory, can also put nearby tenants and the entire facility at risk. Say, for example, a “customer” comes to visit you in your unit and is injured, or your activities result in damage to another tenant’s unit or property. The liabilities involved could result in many headaches, to say nothing of lawsuits sure to follow. Also consider that storage units are not equipped with restrooms, plumbing, or even electrical outlets. If you are caught operating your business on the grounds, you may be evicted and subject to penalties as noted on your rental agreement. To clarify, a storage unit is useful when you need to hold inventory for a business, but not to house the actual business. If you have any questions about commercial usage of Norfolk storage units, please contact us and we’ll be happy to help.